For Southern California families, Spring Break is fast approaching. Parents who are looking for relaxation away from life’s routines have a number of options to consider when looking to retreat to the coast. The Pacific Ocean is the perfect backdrop for a serene vacation chock full of natural beauty, exploration, and endless sunsets. In turn, Pacific Coast Highway hosts a variety of accommodations for families looking to find a getaway for Spring Break. 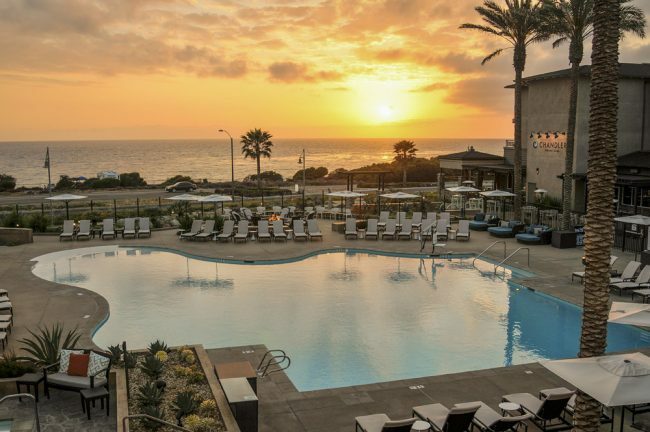 Due to its close proximity to Legoland and location right next to the ocean, the Hilton Cape Rey Resort is one of Carlsbad’s best locations to take a break from reality and enjoy the things that North County has to offer. The Hilton Cape Rey Resort guest rooms usher in the winds from the ocean and offer a perfect backdrop for sound sleeping. Situated right across the street from beach access, there are three different categories of rooming options available so that guests can choose a price point and amenities that fit their wants and needs. The Ocean View Suite is located on a corner of the building. With a King bed and exclusive views of the water, the suite fools guests into feeling like their accommodations are exclusively separate from the surrounding hotel. With 1000 square feet of space, guests have a variety of dining options and an extended balcony to take in the outdoors surrounding them. For a slightly lower price point, guests can book an Ocean View or Partial Ocean View Balcony Room. These rooms also offer outstanding views of the ocean or pool and have 400 square feet of space with a variety of bedding configurations available for couples and families. For guests who prefer a standard price point with all the luxuries of the resort, the Traditional Guest Rooms are a comfortable and luxurious option with craftsman inspired decoration and the same 400 square feet of space available in other room types. The resort has ongoing deals and packages for all occasions. Outside of the rooms themselves, the Cape Rey provides guests with a number of top tier amenities that add to the allure of the resort’s location. The luxury resort-style pool and hot tub is one of the properties prized offerings, allowing guests the ability to play in the water while overlooking the Pacific Ocean. Fire pits are located strategically throughout the resort and add to the ambience of getting to stay in close proximity to the coastline and surrounding tide pools. For added relaxation, Cape Rey has one of Travel and Escape program’s Top-5 rated spas. 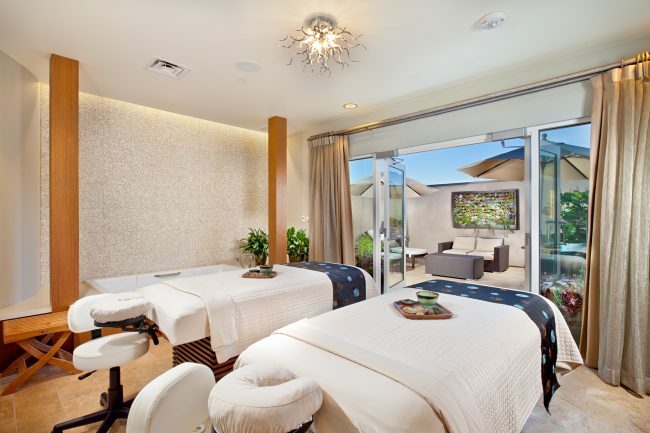 The Ocean Crest Spa is located within the resort’s lush landscape and is one of Carlsbad’s premier locations for environmentally aware spa experiences. The products used within the spa are natural and pure. Guests are able to book facials, body treatments, massages, and manicures and pedicures with the confidence that the treatments performed promote the environment and are locally sourced with the ocean in mind. Beyond relaxation and in line with astounding views, the Cape Rey Resort is home to one of Carlsbad’s favorite restaurants. 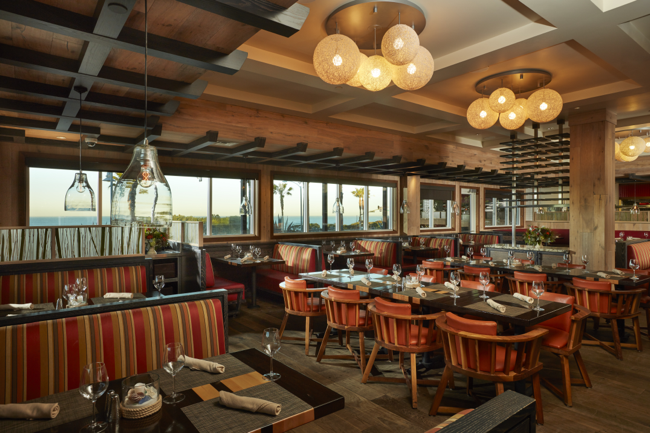 Chief Chef Teri Mclllwain takes coastal cuisine to a new level at Chandler’s while ensuring that the menu has a continually rotating variety of options for all palettes. Guests can venture over to the restaurant for lunch, dinner, or brunch to enjoy ocean views while partaking in delicious contemporary cuisine. 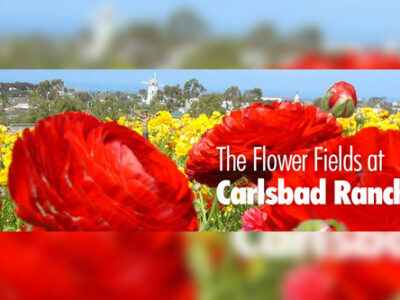 The Cape Rey Carlsbad is a coastal gem for couples, adventurers, and families alike. The resort has ample event space that is separated from common spaces and perfect for company meetings and weddings. 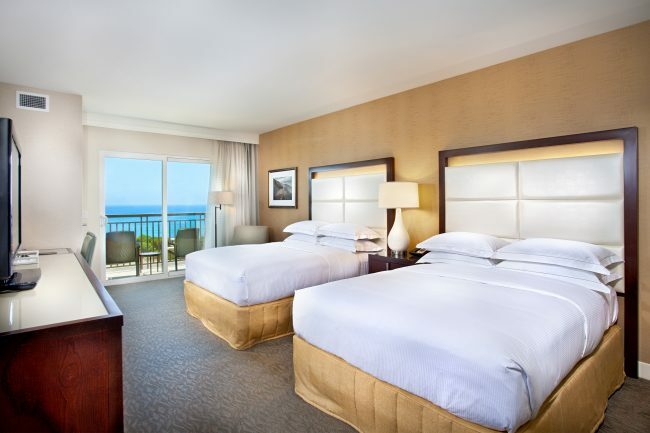 If you’re looking for an idyllic place to rest your head this Spring Break with close proximity to Legoland, take a load off and book a room for the family at the Cape Rey Carlsbad.